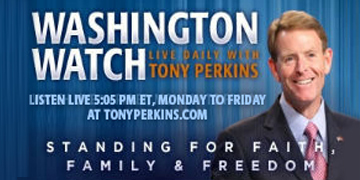 On Wednesday's edition of "Washington Watch with Tony Perkins" GOP strategist and pollster John McLaughlin is here with his thoughts on last night’s midterm election results. Representative-elect Mark Harris (R-N.C.) joins Tony to discuss his campaign and vision for Congress after learning of his victorious election to the U.S. House earlier today. Also, the next governor of Ohio, Mike DeWine, joins Tony with the details on his big election win in the Buckeye State.